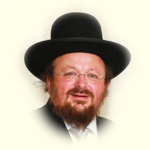 United Synagogue President Michael Goldstein has defended how it handled the sudden departure of Dayan Yonason Abraham last month from the London Beth Din and rejected calls to provide more details. Dayan Abraham left his post at the Court of the Chief Rabbi and his synagogue in Hendon after evidence emerged of what was considered an inappropriate association with a married woman. Although the US gave no reason for his exit, Chief Rabbi Ephraim Mirvis referred to it as a “shameful episode”. In his letter – posted by the IfYouTickleUs blog – he said very few of the requests to reveal more details had been “l’shem shamayim” “for the sake of Heaven”. “But the loudest calls have been mendacious and insincere, belying an insatiable need for juicy gossip and lashon hara [speaking badly of people] rather than a genuine desire to help,” he said. He also said he had been shaken by a JC article by Daniel Greenberg, which accused the religious establishment of having tried to hush up the incident as quickly as possible. That’s how it works in Britain where adultery is not tolerated. In Lakewood עיר התורה you can do much worse and stay comfortably in your position . Why don’t they do a Heter Mayuh (Mayer)? 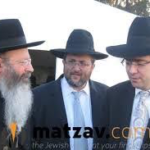 Rubelow, the highly experienced BMG Dayan was is the “Moreh-Derech” for Meir in these issues.